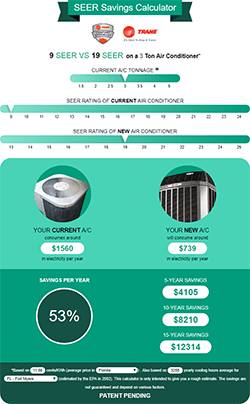 Increased prices for metals like steel and aluminum are beginning to impact the cost of air conditioning equipment. Recently imposed tariffs – which are essentially taxes collected on foreign imports, like steel and aluminum – are causing manufacturing costs in several industries, including HVACR (Heating, Ventilation, Air Conditioning and Refrigeration), to climb. The natural effect of rising costs is higher prices – which in the end affects how much you pay for the final product. The prices of air conditioners from many leading manufacturers are already rising. If you purchase a new air conditioner in the near future, the price you pay will be around 5-7% higher than you would have paid before the tariffs were effected. This could translate to over an extra $500 – which most of us would agree is no small number. Especially when it’s coming out of your pocket. 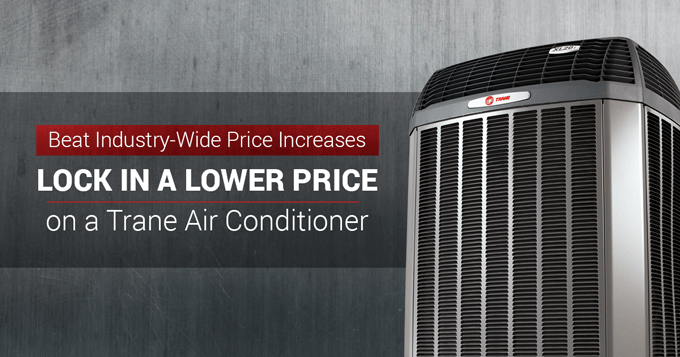 We’ll help you lock in pre-tariff prices on a new Trane air conditioner. Before metal prices began to spike and the inevitable price increases by HVAC manufacturers were still rumors, we decided to take action. We wanted to give as many people in our local area as possible a last chance to buy air conditioners at their pre-tariff prices. So, we met with our Trane distributor and locked in a bulk purchase. In doing so, we were able to score a volume discount on Trane products at their previous (lower) prices. We’re passing these savings on to you. Not only will you save up to $500 by dodging the 5-7% price increase, but a limited number of our units also qualify for the current Trane rebate promotion, with up to an additional $1000 in discounts. Buying an air conditioner now will shield you from the impact of tariffs on HVAC products for the expected lifespan of your new system. Meaning, at least 10-12 years. Plus, you’ll reap the rewards (like lower electric bills and fewer breakdowns) that come with a new, energy efficient HVAC system from Trane – America’s Most Reliable and recognizable name in air conditioning. Only 50 0 units available. This offer has ended. This offer may have ended, but you can still take advantage of these rebates on qualifying new Trane air conditioning systems.